You’ve decided to go gluten free or have received a coeliac diagnosis but have no idea where to stock your fridge! 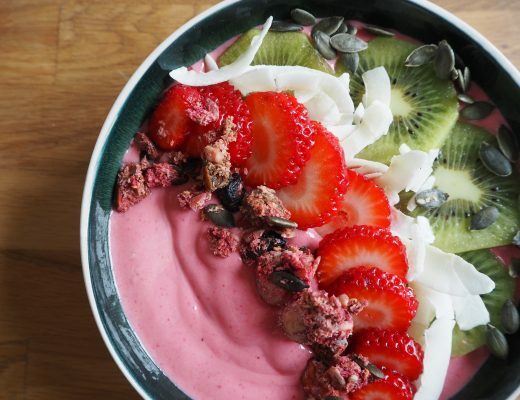 Gluten free products have come a long way over the course of the last decade and it is amazing to have such a diverse selection to choose from. On the flipside, this huge array of gluten free products available can feel a bit overwhelming at times. It can be hard to know which gluten free products are the best of the bunch. That’s where I come in! This gluten free guide is designed at giving you that initial steer when approaching the supermarket shelves. If you are coeliac, remember you can order various starter packs from established gluten free brands – check out Juvela, Glutafin or Barkat. Juvela were always my favourite prescription products, as their bread has decent texture and taste lovely. 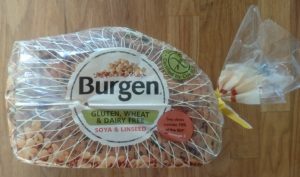 Here is my guide to some of the gluten free products I rate highly. 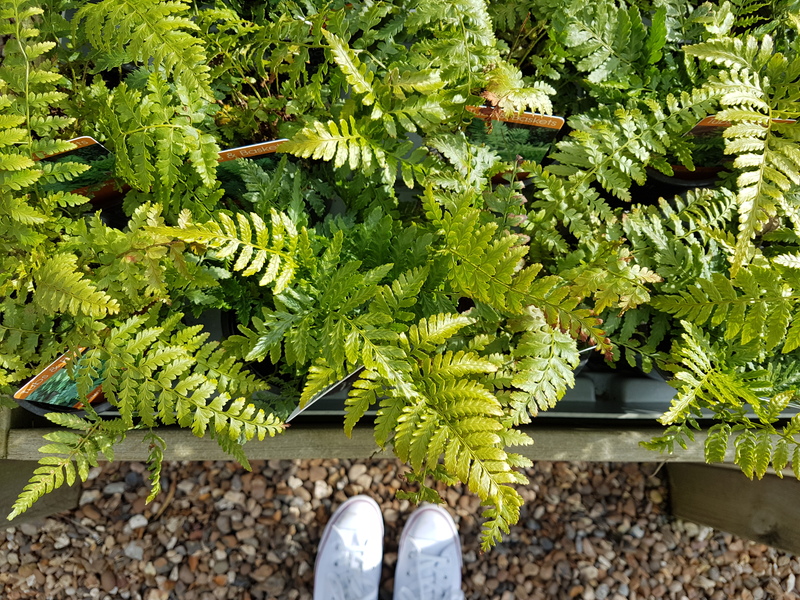 I’ve focused on the mainstream brands as these are more widely available, although I have popped the occasional independent producer in where mail order is an option. I have tried A LOT of gluten free products and am regularly sent new gluten free product samples to try. Hopefully my reviews will save you all having to sift through everything yourselves (note of course this guide is entirely subjective and I was not influenced by any brands). 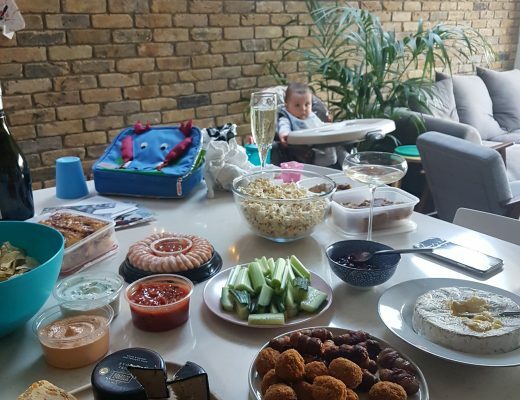 So, start your gluten free journey here with me but remember that everyone’s tastes are different and you should shop around to find you absolutes faves. You might hate one of the products that I love or vice-versa :). There are quite a few gluten free beer choices on the market now and it is worth trying a few to see which ones you prefer. 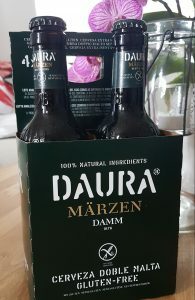 For a fuller bodied, Belgian-esque gluten free beer, I recommend Daura Marzen (available from Ocado, £6.99 for a pack of 4). 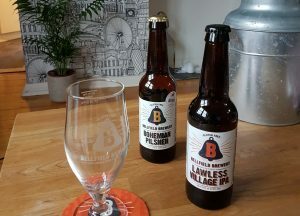 Bellfield Brewery, who I love because they are a family-run, coeliac-owned small brewery, make an excellent pilsner and IPA that were both winners in the World Beer Awards (available from various stockists, price varies). 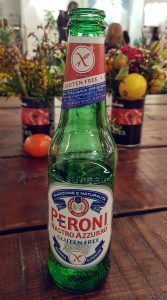 Then for lagers, a widely-available and very good choice is Peroni‘s gluten free beer (available from Tesco and Sainsburys, £6.50 for a pack of 4). There is a brilliant array of gluten free biscuits out there these days and many of them are excellent. The Tesco Finest gluten free double chocolate cookies are decadent and easily passed off as a standard gluteny biscuit. 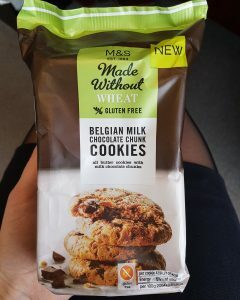 M&S gluten free biscuits are nearly always good. Schar gluten free biscuits are also very reliable. 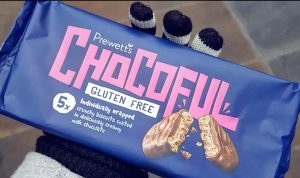 The chocoholics among you should try Prewett’s Chocoful bars (most supermarkets, £2.00 for a pack of 5), as they really remind me of Rocky Robins (if anyone remembers those?!). Let’s get a hard truth out there early on…gluten free bread is very rarely as good as normal bread unless it is freshly baked. If you fancy trying your hand at home baking, Naomi Devlin has some fab recipes in her River Cottage Gluten Free cookbook (you can buy the various flours needed cheaply through Shipton Mill). Realistically though, many of us don’t have time to make bread at home so here are some ready made recommendations. The Sainsbury’s fresh-baked gluten free bread range is fantastic and worth hunting down. These fresh baked rolls and loaves can be found in the regular bakery section, but all the gluten free products are baked in sealed bags to avoid the risk of cross-contamination. I recommend the little seeded rolls in particular (Sainsbury’s, £1.50 for a pack of 2). When it comes to other gluten free loaves, I always toast my bread to refresh it as it improves the texture. 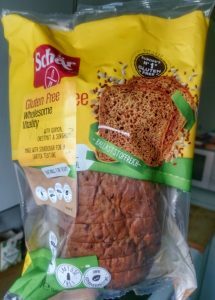 Good longer-life loaves include Schar‘s Wholesome Vitality Loaf (Tesco, £2.60) and Burgen‘s Sunflower and Chia Seed Load (Asda and Tesco, £2.75). Juvela do amazing fresh gluten free rolls (white and fibre varieties), which actually don’t need toasting. They are extra nice when warmed in the other though and their fantastic texture makes then a very versatile breakfast item and good for travel as they do not fall apart. The rolls are substantial too, so I think they are great value for money. 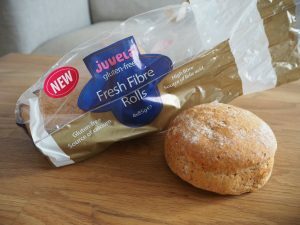 You can find Juvela’s fresh bread and rolls in selected Tesco stores (rolls £2.20, bread £2.80). 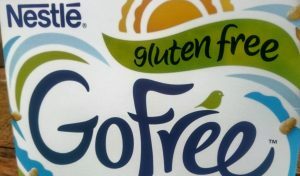 Nestle’s GoFree brand make the best gluten free cornflakes, plus they are good value and widely-available (Asda, Morrisons, Ocado, Sainsburys and Tesco, £2.20). They taste exactly like normal cornflakes and there are some other classic cereal options in their gluten free range too. Natures Path “Nice & Nobbly” granolas are my personal favourite. They are good, substantial granola filled with nuts and seeds (rather than being flakey and oaty like some brands) and not too sweet (Asda, Morrisons and Tesco, £2.99). Last but not least, Nutribrex is your best bet for a gluten free Weetabix substitute (Ocado, Tesco and Sainsbury’s, £3.80). M&S do a wonderful range of fresh gluten free cake, especially the carrot cake (yummmm). 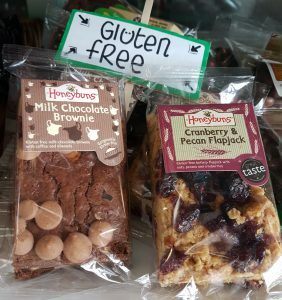 Honeybuns also do a brilliant selection of gluten free cakes, from flapjacks to shortbread to brownies and everything I have tried in their range has been spot on (their website or Waitrose, £1.40 per cake slice). Note I am pretty certain the gluten free cakes in Leon are made by Honeybuns…worth investigating if you have a Leon near you when you are craving gluten free cake! Newburn Bakehouse win this one hands-down (all UK supermarkets, £2.00). They are the only gluten free crumpet I have come across that has a real crumpet texture. Many of the other gluten free crumpet brands end up quite soggy and dense – edible, but not very crumpety. Try my dessert crumpets recipe if you want to give something new a try. 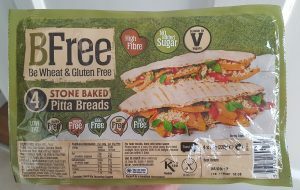 Dove’s Farm “Freee” gluten free flours are my go to due to the wide availability of their products (all UK supermarkets, £2.20 per bag). Their flours are brilliant ones to start your gluten free baking adventures with and make perfect substitutes for normal flours in a variety of recipes. Lidl own brand gluten free flour is a new discovery of mine. It’s only £1.29 and works brilliantly in all the recipes I have tried. Genius make a fantastic gluten free fruit bread. It toasts up beautifully and the warm, spicy smell will get you drooling before you have even had your first bite (Asda, Ocado and Sainsburys, £2.50). I am quite partial to Tesco‘s gluten free pasta. It is cheap and always cooks well for me and is available in a variety of shapes and sizes (including gluten free lasagne sheets). 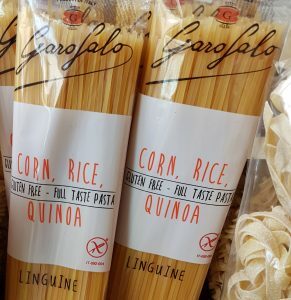 If you want to try something fancier, Garofalo do excellent dried gluten free pasta (Ocado, prices vary) or the fresh pasta from Healthy & Delicious in London is immense (see their website for details). M&S seem to be the only place seeling gluten free croissants and danish pastries at the moment. They are okay but nothing like the real thing, sadly. Of the pre-made pastries, I haven’t found a shortcrust I like yet so I make my own (another Naomi Devlin River Cottage recipe). 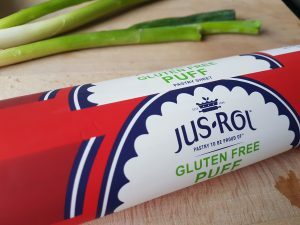 The Jus-Roll ready rolled gluten free puff pastry is my top gluten free choice (Ocado, Sainsburys and Tesco, £2.00). It is very easy to use and saves the hassle of having to flour your surfaces etc. Asda also have an own brand gluten free ready roll puff pastry that is just as good (but slightly cheaper). You can find it in the chiller with the regular puff pastry. 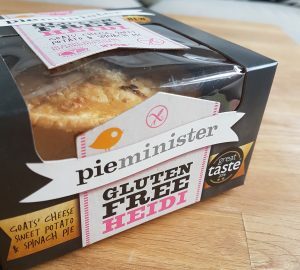 Pieminister do wonderful gluten free pies with light, flakey pastry. I haven’t discovered another brand that can rival these yet! The veggie Heidi has a wonderful creamy sweet potato, goat’s cheese and spinach filling, plus there are steak and chicken free pies to sample too (Sainsbury’s and Waitrose, £4.50). White Rabbit and Pizza Express are my top choices for gluten free pizza. 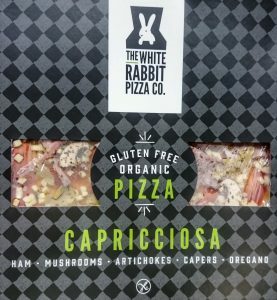 White Rabbit just edge into first place plus they are a smaller company so you can’t help but want to support their business (Planet Organic and Sainsbury’s, £5.00). 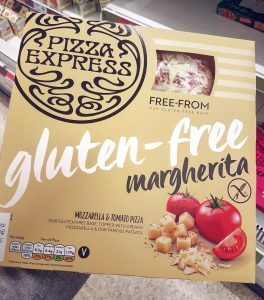 The Pizza Express gluten free pizza really is excellent too (Sainsbury’s and Tesco, £5.00). There are a lot of gluten free ready meals available to buy now. Like normal ready meals, many of them are just a bit rubbish, but I have found a couple of items I really like. 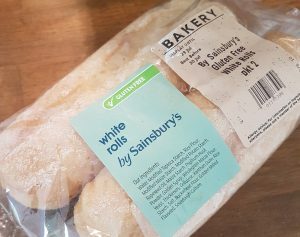 Sainsbury’s and M&S both do excellent gluten free fish cakes. The Sainsbury’s Melting Middle variety are perfect for a more substantial fishcake (£2.25). The M&S ones are normally on offer so you can get away with buying two packs between the two of you (one by itself would not fill me up) (2 packs for £3). Most of the gluten free ready meals from M&S are pretty decent in fact (try the tempura chicken – yum!). Coop are worth checking out as many of their normal products are actually gluten free – I am talking about their fish cakes, onion bhajis, breaded cod and chicken pakoras, for example. 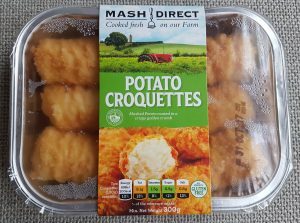 Mash Direct are my go-to for gluten free potato products, like potato cakes, croquettes, onion rings and sweet potato fries (Asda and Morrisons, prices vary). 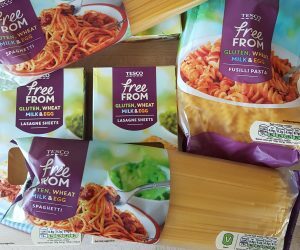 Tesco do lots of gluten free ready meals and pre-prepared products now too. The range can hit and miss, but a couple of items I have tried and liked are the gluten free mozzarella sticks (£2.00) and the chicken kievs (£3.00). Young’s are my top gluten free fish finger choice (Ocado and Waitrose, £3.00). Many more varieties of sausage are made naturally gluten free now but always check as many other still contain gluten. The M&S pork chipolatas are excellent and the Jolly Hog range is another one worth trying (Ocado and Sainsbury’s, £3.00 for six). All the Tesco finest sausages seem to be gluten free too and their chipolatas are excellent. Yes boring but importantly not all stock cubes are gluten free. Stick with Kallo or Knorr stock cubes and you’ll be fine as these two brands’ stock cubes are currently gluten free (all supermarkets). 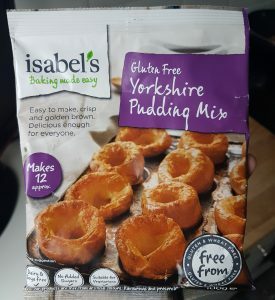 Try the Isabel‘s mix to for an easy gluten free Yorkshire pudding to bake at home. The range is made with cassava flour and these Yorkshire puddings are always really excellent (Asda, Holland & Barrett, Ocado and Morrisons, £2.00). Give me a shout if you want recommendations for any product categories not listed here at mygfguide@gmail.com. Also be sure to come back from time to time as I’ll keep this list updated with new additions when I come across great new products. 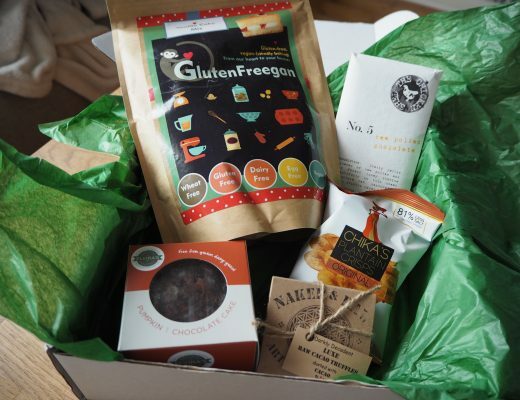 Finally An Awesome Gluten Free Subscription Box!